Pelican Books is returning as an imprint (HERE). Below from 1974. 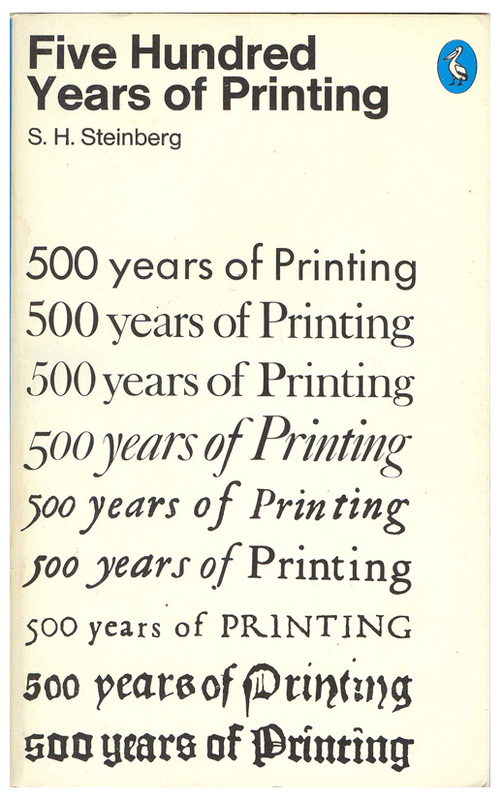 Five Hundred Years of Printing by S.H. Steinberg. New edition by Oak Knoll Press HERE.